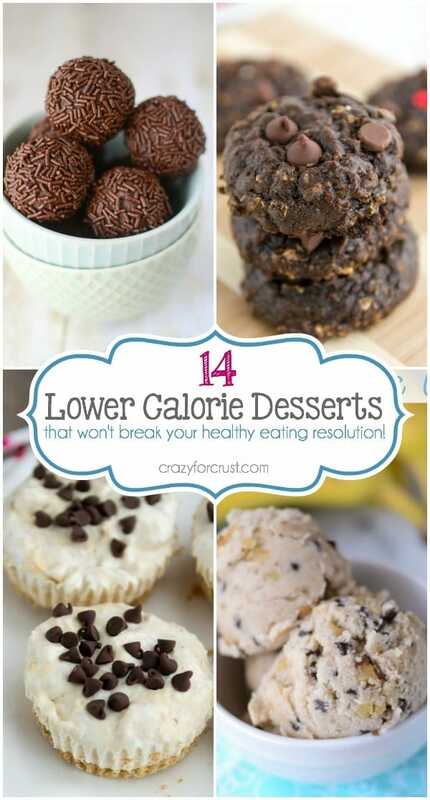 A list of healthier and lower calorie desserts that will satisfy your sugar craving without breaking the bank! I’m now one week into healthier eating and it’s going okay. I’m not doing anything radical, like Whole30 or Paleo or even limiting myself from what I love. I talked about how I don’t believe diets work last weekend, so instead I’m just trying to eat right…and eat less. Since I bake almost every day (and taste it too) we never have a shortage of treats to satisfy my cravings. The trick for me is only eating a bite…and so far that’s working. But, since y’all don’t bake like I do, I thought I’d collect a few of my favorite lower-calorie (and sometimes healthier) desserts all in one place. Because even though you’re eating right, if you’re craving a cookie, you should eat a cookie. Otherwise you’ll eat the whole bag tomorrow. 1. Skinny Frozen Peanut Butter Pies: using low-fat and fat-free ingredients to make a lower calorie version of your favorite peanut butter pie. 2. 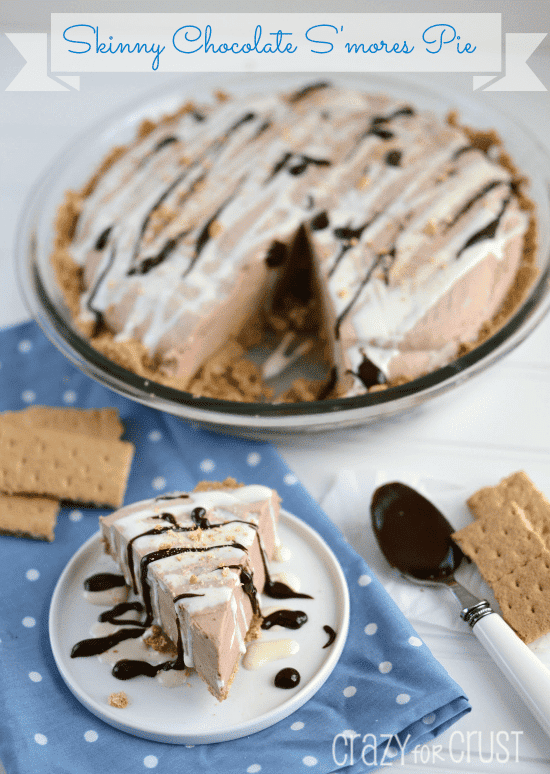 Skinny Chocolate S’mores Pie: a low fat crust and lower-fat filling makes this pie a better choice to satisfy your pie craving! 3. Skinny Ice Cream Sandwiches: did you know that bananas, when frozen and blended, become like ice cream? Use low-fat cookies and banana soft serve to make ice cream sandwiches that won’t break the calorie bank. 4. 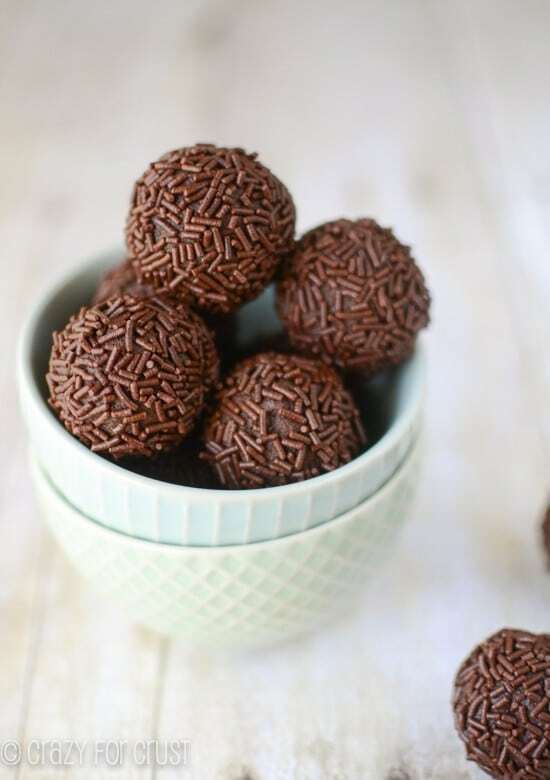 Healthier Chocolate Truffles: these have no butter or heavy cream. None! There are only three ingredients and one is a much healthier alternative to the regular truffle ingredients! 5. 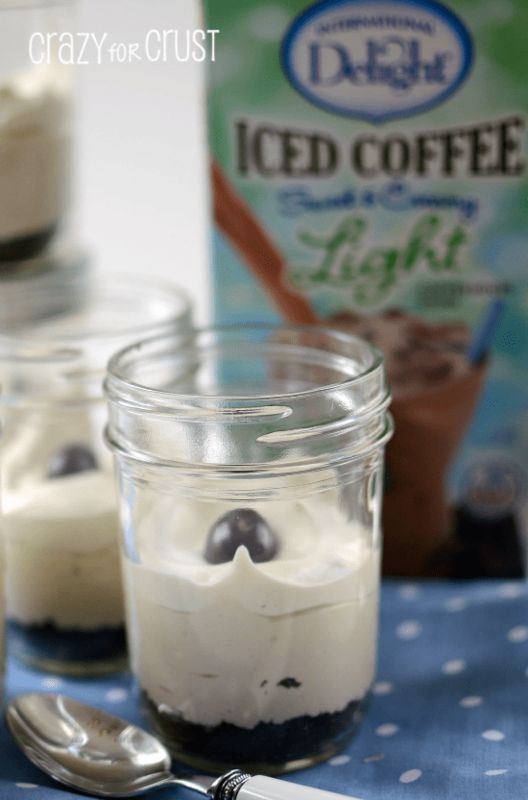 Skinny No-Bake Mocha Cheesecakes: lower fat and calorie iced coffee gives a punch of flavor to these no bake cheesecakes. 6. 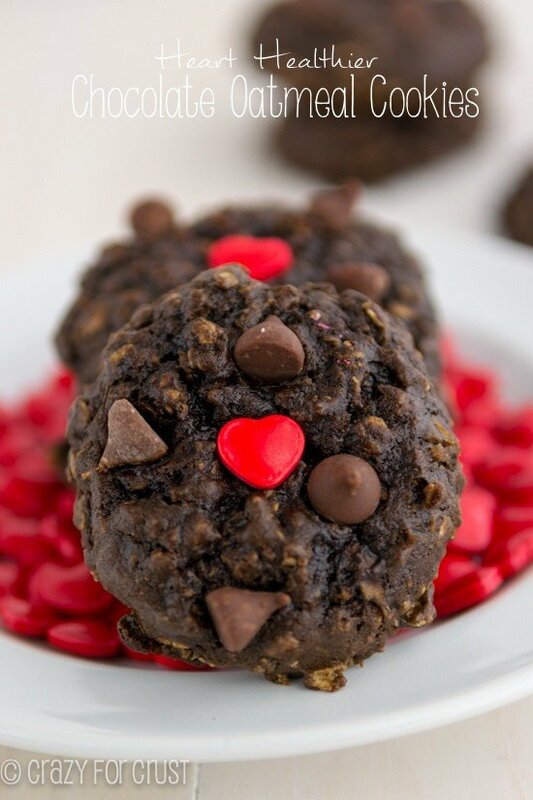 Heart Healthier Chocolate Oatmeal Cookies – made heart healthier using better oils, less sugar, and a good dose of oats. 7. 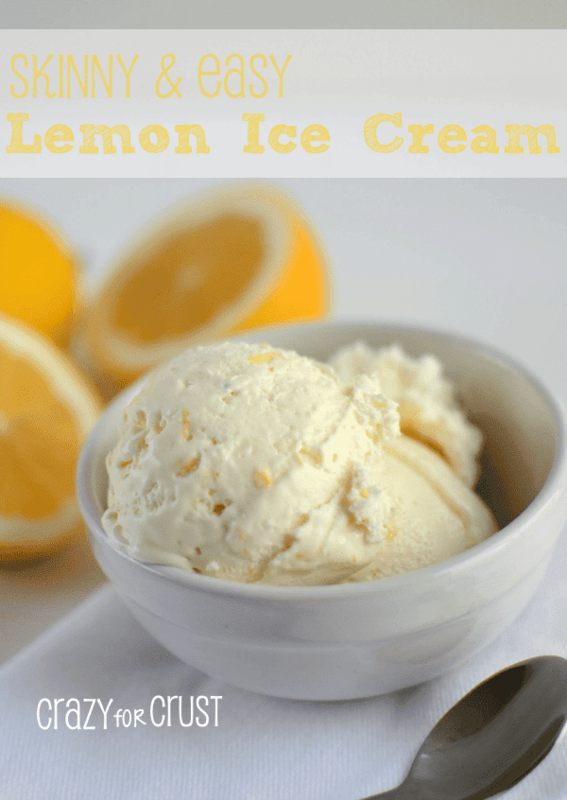 Skinny & Easy Lemon Ice Cream: you don’t need a machine for this ice cream! Substituting lower fat ingredients makes this easy ice cream rich, thick, and skinny. 9. 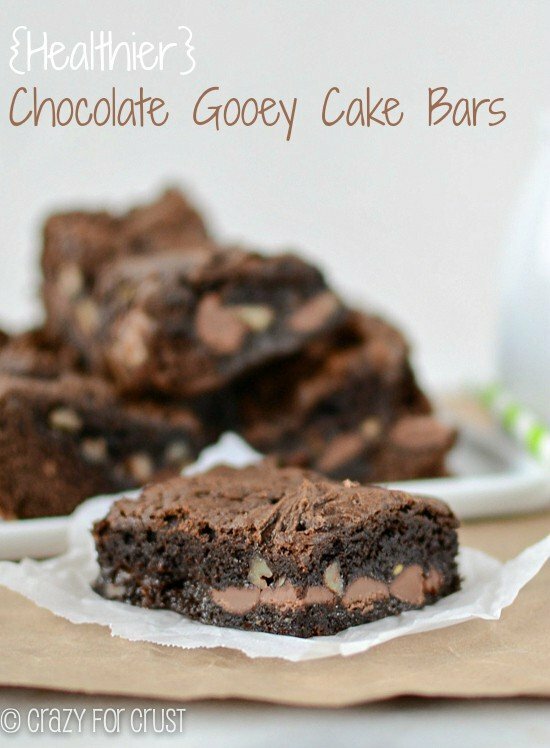 Healthier Chocolate Gooey Cake Bars – made with NO butter! 10. 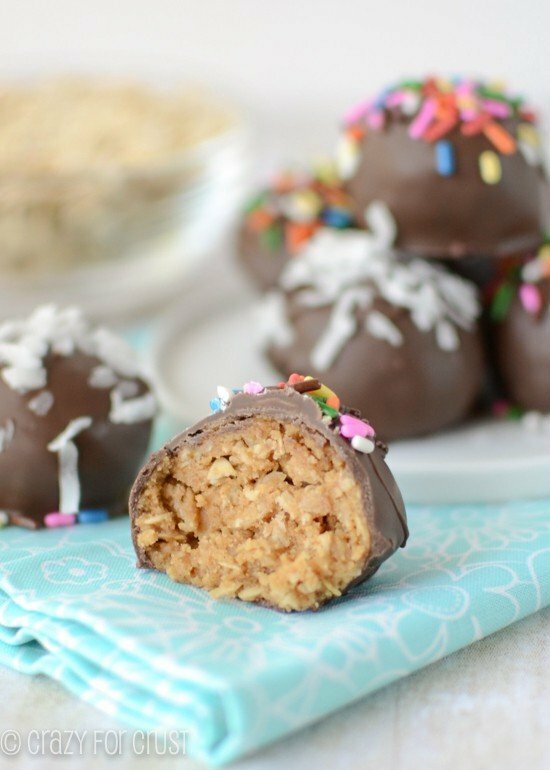 Peanut Butter Oatmeal Cookie Dough Truffles – less butter and sugar and filled with oats, these truffles are still dessert but they are better than the real thing! 11. 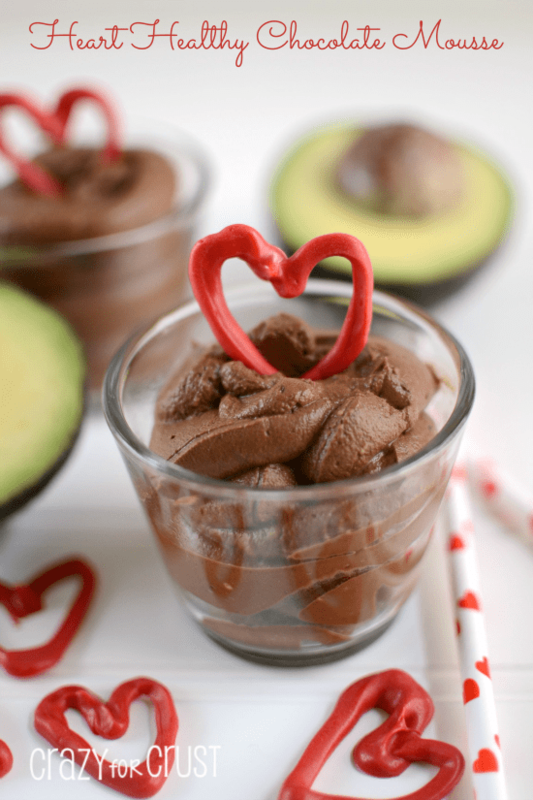 Heart Healthy Chocolate Mousse – again with the avocado. I know, don’t knock it ’til you try it! It’s a healthier way to add fat into your dessert. 12. 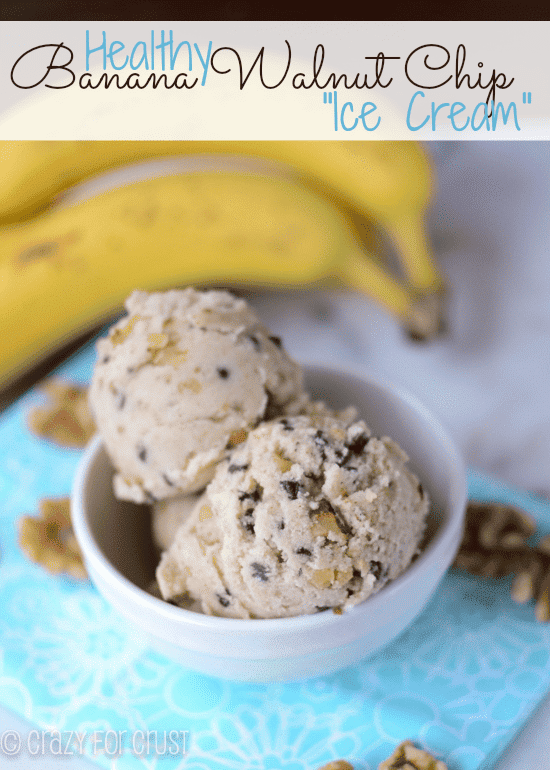 Healthy Banana Walnut Chip Ice Cream – frozen bananas turned soft serve, with some of my favorite add-ins. 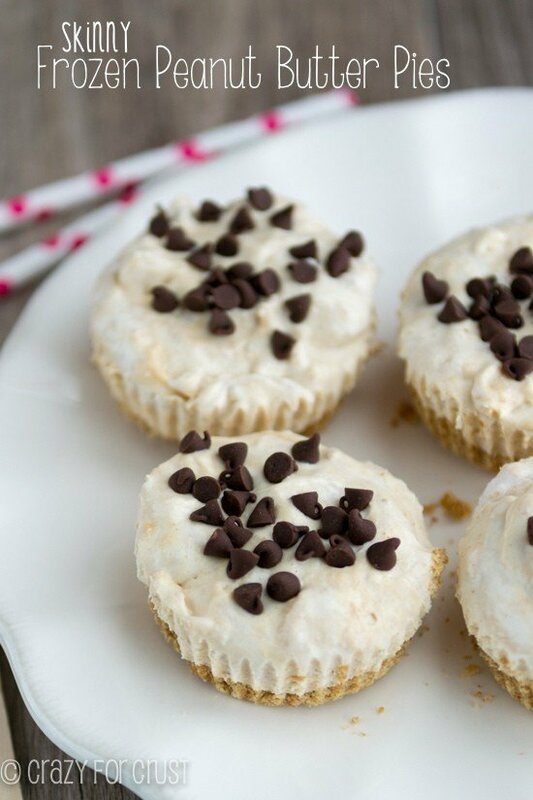 It can be made dairy-free (no “chip”) – this dessert is perfect for everyone! 13. 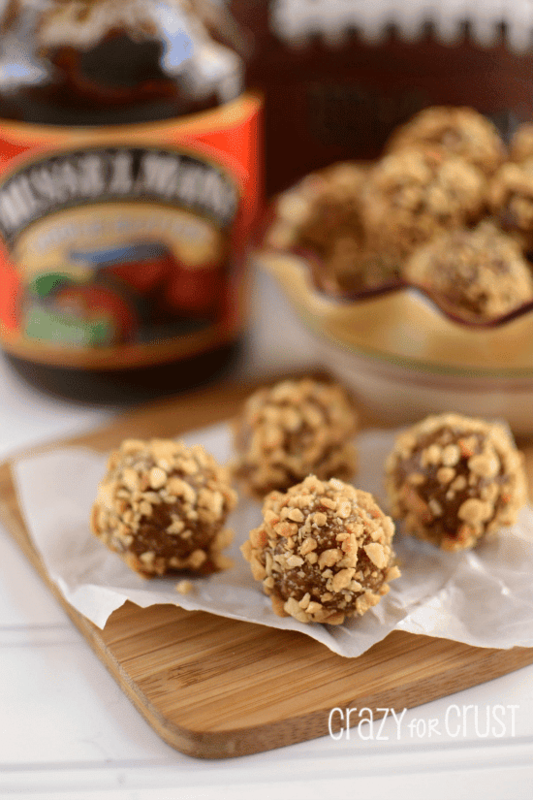 Peanut Apple Butter Bites – a healthier snack! 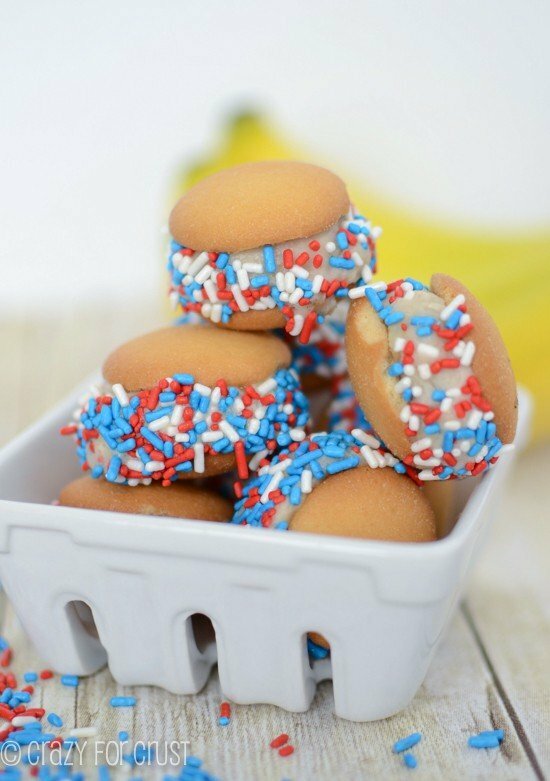 I love these frozen for quick afternoon snacks. 14. 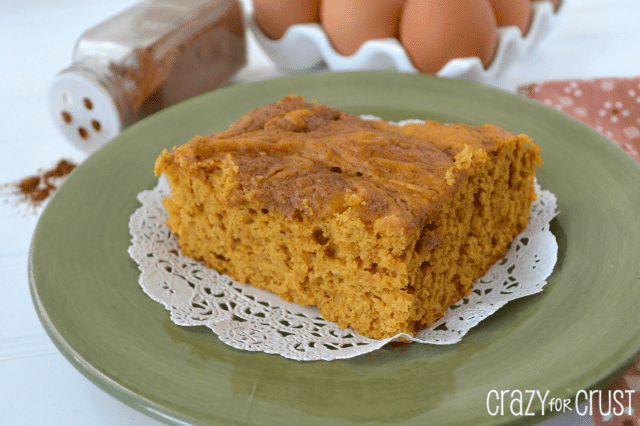 Sugar-Free Pumpkin Snack Cake – sugar-free cake mix is made into a healthier cake with less butter than a traditional snack cake. I too, tend to eat super healthy during the day, then crash and burn at night. Thanks for putting this together, I really am digging that chocolate avocado mousse! I’m definitely needing this list after last month! I don’t believe in diets either — there’s no way I’d be strong enough to stick to it! Diets have never worked for me. I don’t even try them anymore. I, like you, am jus trying to make smarter decisions. I want to try ALL of these. I don’t think I’d survive without #wineweekends! Thanks for awesome list of low calorie treats, Dorothy. Lemon Ice cream sounds great! Thanks for the low-cal choices! Great list of healthier choices!..My personal struggle this year is that this is my first post holiday blog time. In pre-blog life, I wouldn’t be baking a lot in January…we’re usually pretty solid on healthy eating until it’s time to make fun food for super bowl weekend…so I’m trying to find a balance between creating yummy stuff for the blog and not having too much around to splurge on…I’m not sure I’m wildly succeeding…but I’m giving myself an E for Effort and continuing to persevere! 🙂 Looks like you’re doing a fine job with moderation…always a good thing! Yes, that exactly. Normally I wouldn’t have made 2 bar cookies yesterday. Now I’m eyeing them!! Love these ideas.. my fav? Simple… fresh strawberries, sliced, angel food cake bites and low fat whipped topping! I love angel food cake and I don’t make it enough! Wow! Thank you so much for posting these!!! Wow they all look so tasty! I just saved this for future treats lol thanks fir the share:)! Love this list! I will pin this and consult it often!